Making sure you recycle a computer, or any other electrical device, correctly is becoming more and more important. A typical laptop will include harmful components, such as mercury, lead, chromium and other heavy metals. If these end up in a landfill, they have the potential to contaminate the land and water around them. Recycling is important and can help those who are less fortunate, by giving them access to a PC and potentially the internet. If this is the case, you need to make sure your device is completely wiped of personal data – this can be achieved by procedures such as Computer Disposal’s data destruction process. Even if you do not intend to send your laptop onto someone else, it still needs to be wiped. It can be picked up by anyone once it has been thrown in a skip and they can harvest it for information to be used against you. You need to be aware that deleting everything does not clear your hard drive. The same applies for formatting so you need to take a few further steps to make sure the laptop is completely blank. A real wipe of the hard drive requires special software. 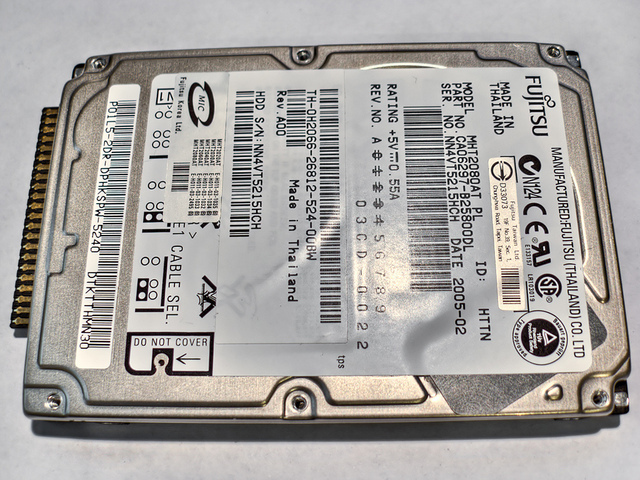 In 2003, two students at the Massachusetts Institute of Technology bought 158 used hard disks from eBay – from those, the discovered 5,000 credit card numbers, personal and corporate financial records, medical records and emails. Only twelve of the drives had been properly wiped. The best thing you can do to avoid this is to invest in a proper disk-wiping programme or get a professional to do it for you. If you are going to do it manually, the first thing you need to do is back up all the files you want to keep; once you have finished there will be no chance of getting them back otherwise. Next, you need to download a free data destruction programme or shredder. There are a number of ways to do this without such a programme, but these tend to take much of the hassle out of data destruction. Then you need to burn the ISO file onto a disk before wiping the device as per the instructions of your programme. If you are performing a manual clean up, there are going to be certain things you want to keep and an order through which to delete items and folders. Start the process with your personal folders and files. This should be followed by web settings and internet browsing history. Then, make sure you get rid of all emails. This is particularly important as you may think getting rid of stored bank information such as credit card numbers finishes with your web browsing – you may find out that you have detailed these in a past email. Remember, when you wipe a hard drive the programmes you need to use and the specific processes will depend on your operating system. The method will be different between Windows 7, Windows 8 and XP, for instance. Make sure you research this thoroughly.